What does it mean to be a professional? What skills do professionals need to have? A professional is someone who possesses specialized knowledge, often in addition to having completed some focused academic preparation (such as high school or college or technical classes) for their career. Teachers, contractors, IT workers, and employees from countless other industries are considered professionals. Beyond the abilities and knowledge needed for each specific profession, professionals in almost every discipline need a particular set of qualities, skills, and behaviors. These are primarily soft skills—intangible skills that help you interact and get along well with others. 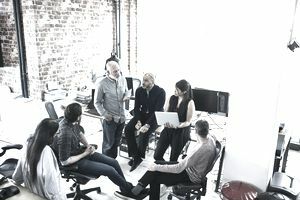 In some cases, employers may seek applicants with hybrid skills, which are a combination of soft skills and the hard skills required to do the job. Because professional skills are required for nearly every job, they are rarely included in job listings. So, let’s talk here about the top skills that all employers expect job applicants and employees to have when they work in professional roles. You can use these skills lists throughout your job search process. The most important place to incorporate mention of these skill words is in your resume. You should try to use some of these keywords both in the resume’s qualifications summary and in your descriptions of your work history. Secondly, you can use these in your cover letter. In the body of your letter, you can mention one or two of these skills, providing specific examples of times when you demonstrated them at work. Along with mentioning some of the professional skill words during your interview, you also want to demonstrate your professionalism in the way you dress, speak, and act. For example, you should speak clearly and dress professionally for all your interviews, in addition to demonstrating an ability to get along with others. The more you can show that you have these skills, the more effective you will be in your interview. Of course, each job will require different skills and experiences, so make sure you read the job listing carefully, and focus on the skills listed by the employer. Time Management: As a professional, you will be tasked with completing a variety of tasks. You’ll have to draw upon organizational skills to budget your time so that you complete each task by a given deadline without feeling overwhelmed. Timeliness might seem simple, but it is one of the most important qualities in a professional. Employees who show up on time (or, better yet, early), are often perceived to be more hardworking by their employers (even if this is not the case). You can therefore boost your professional reputation by showing up to work and meetings a few minutes early. Personal Skills: Interpersonal skills are the soft skills that enable employees to work well with other workers, managers, clients, customers, vendors, and other people they interact within the workplace. These skills and professional attributes are also important for successful professional networking, and for managing your own career growth. In addition to the professional skills that are needed in the workplace, there are job-specific skills and different types of skill that can help you get hired or promoted. These hard skills include the knowledge and expertise required to do a job. Review some of the best skills to include on your resume, incorporate them into your job search materials, and mention them during job interviews.